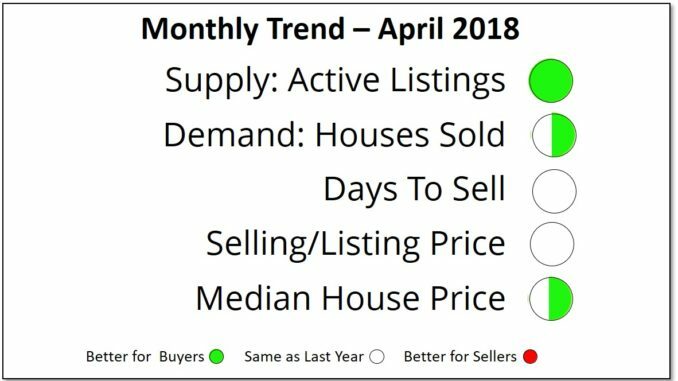 Prince Edward County sales of homes over $300,00 during April continued the moderating trend of recent months. As a result, conditions were much better for buyers this April than they were a year earlier. The number of homes actively listed for sale was up significantly, providing consumers with greater choice, while the number of homes sold during the month fell from last year, reflecting smaller demand. With supply and demand closer to balance, prices softened slightly compared to last year. Paradoxically, homes continued to sell just as quickly as last spring.